Gita Publishing House (GPH) of the Sadhu Vaswani Mission, Pune, participated in the Frankfurt Book Fair (FBF) this year in October for a 5-day exhibition. It is the 4th year GPH, spearheaded by Managing Director Ms. Gulshan Dudani, has been present at this world famous and largest Book Fair. With each passing year GPH makes a leap in its outreach and inches itself closer to the goal of a Globally recognized and respected organization. An organization whose ultimate aim is to shine like the guiding star and lead its readers to embark on a path of ‘Spirituality in Daily Life’. 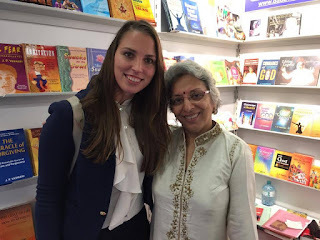 This is also the title of one of the popular books authored by Dada J. P. Vaswani. GPH is dedicated solely to spreading Beloved Dada’s Message to the world through his simple writing which carries wisdom of his golden 100 years and beyond. 2017 has been a momentous year for GPH as Dada J.P. Vaswani enters his Centenary Year. 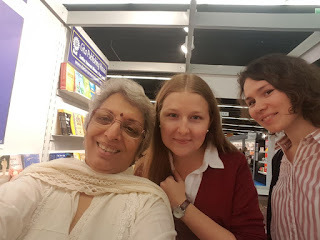 Many foreign language publishers who had heard about the 100-year-old Spiritual Master’s writing, approached GPH at the fair for Rights, not only to publish books but also for E-book, digital and audio book distribution rights. Interests were received from representatives hailing from Israel, France, Czech Republic, Japan, Ukraine, Holland and Italy. When the whole world’s communities have acknowledged the profound wisdom in Dada’s writings, how could the Indian Publishing Houses not line up too. 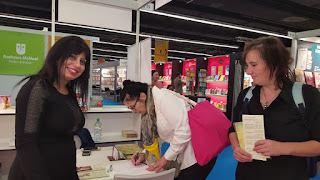 It was wonderful that most of the Indian Publishing Houses present at the FBF met with Ms. Dudani and finalized to sign for Dada’s book rights for the new titles to be published in India in the immediate future. The power and depth in Dada’s writing is like the sun’s rays which shine through the thickest clouds to erase the darkness and induce positivity in the reader’s daily life, giving them zest and strength to deal with challenges, pave way through roadblocks, detangle complicated situations, overcome hurdles in life and make them into kindred souls. 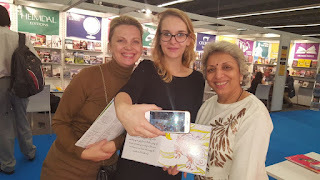 Since, the Fair was nearing November 25 (celebrated as International Meatless Day), there were many foreigners who have pledged to consume only vegetarian food for one day towards supporting the noble cause. In all it was deemed a successful Fair for the humble and perseverant GPH with the grace and blessings of the well-wishers and readers. Pune – 411 001, (India).